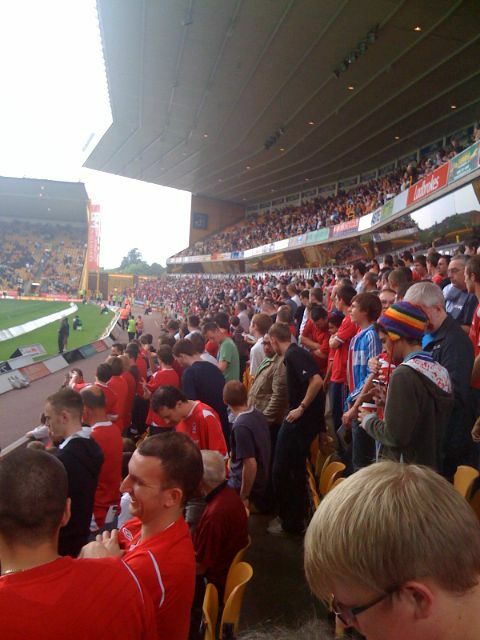 30 | August | 2008 | Through the seasons before us..
Forest mauled by the Wolves..
A scoreline that by no means flatters the hosts today, with two (rightly) disallowed goals for offside, decent saves by Paul Smith and a thunderous strike off the crossbar, as well as chances wide, the home side could easily have probably set a new record for a scoreline at this level of football. This was a bloody good performance by Wolves, compounded by a particularly poor showing from Forest in the majority of areas of the pitch. Call me crazy, but it was almost as though they had scouted Forest and spotted their weaknesses – the very things that I certainly prattle on about endlessly. We have no width in midfield – I would have expected Smoulds to adjust his tactics to allow for the fact that Chambers having Jarvis to deal with, and Bennett with Kightly with no wide midfielder covering them. He did tweak his tactics, but it was in a way that made the side seem more out of sorts with Tyson up front with Earnshaw, and Martin sometimes joining them. Tiredness from the excesses of the Sunderland match were also a factor, I think – but none of these things are really suitable excuses for such an abject showing. It’s far too early to panic, so the non-abusive reception the team got at the end of the game from the Reds fans should show them that we can accept off days – but not too many of them. We’ve only played away twice, but have been disappointing in both fixtures – on the back of impressive performances at home – but this was beyond disappointing, it was a complete collapse. I normally try to keep a few notes of things to write about, funnily enough, little of the match made it into them this time – instead I have documented the amusing Proclaimers-a-like Wolves fan to our left, the rather disappointing manufactured atmosphere at the start of the game. Wolves fans make a fair bit of noise at home, so to see them dutifully clapping along to ‘Hi Ho Silver Lining’ like a bunch of automatons before the kick off was, to be honest, a pretty sad sight. Similarly the goal music, I loathe goal music. Part of the half time entertainment involved a couple of Honda cars driving around the perimeter of the pitch – perhaps that counts as entertainment in the Black Country; and thankfully Forest were spared a day of complete failure by the youngsters taking part in the half time challenge beating the local kids. Small victories, eh? The Wolves fans also chant their stand names at one another, which I found quite interesting – they seem to have a bit of good-natured banter between one another. So yes, the game. Amusingly, we had a great chance to start with – Tyson and Martin combined to give the loanee a chance to shoot, and he really should have given Hennessey more of a challenge. 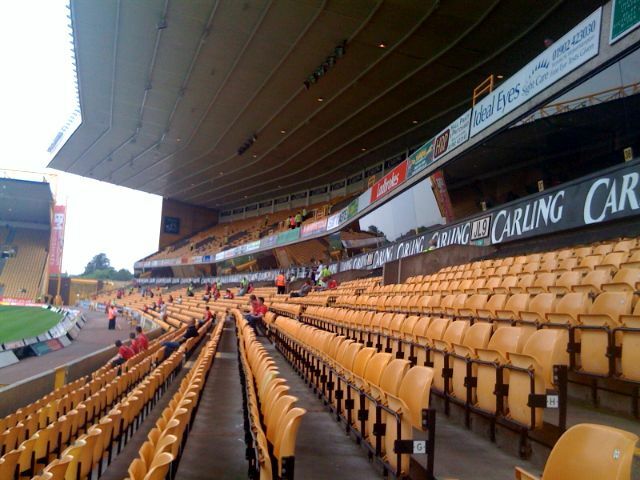 From then it was all Wolves, initially playing direct to Iwelumo the home side played a combination of effective long-balls as well as decent wingplay that frequently left Forest at sixes and sevens. The first goal came from Iwelumo setting up David Jones to curl the ball in from 20 yards, with very little Smith could do. It was almost two as Iwelumo headed over, and again it looked like Chambers had put it into his own net – luckily it was just wide. The second goal was unfortunate – Smith came out to punch, but it was a poor punch with no height, hitting what I thought was either Wes or the Moose on the head and ending up in the net. The Wolves announcer gave it a home player, though. Forest couldn’t keep the ball, nor win it back from from Wolves, and Kightly was increasingly menacing – unleashing a thunderbolt from 20 yards with nobody closing down, and striking the crossbar before reaching safety, another shot was blocked by Bennett. Jarvis made a monkey out of Chambers for the umpteenth time and brought a good save from Smith, fortunately Ebanks-Blake was offside when he put in rebound. The goal had to come though, and what a goal from Kightly – again, he wasn’t closed down at all – but couldn’t have hoped for a sweeter finish from around 25 yards into the top corner of the goal to give the home side a pretty much unassailable lead. The fourth goal came when once again, Wolves attacked down the left through Jarvis who teed up Iwelumo to spanner the ball into the goal from close range. Half time saw Smoulders make no changes at all, which was surprising – although with only three substitutions allowed, I suppose it did rather limit his options. 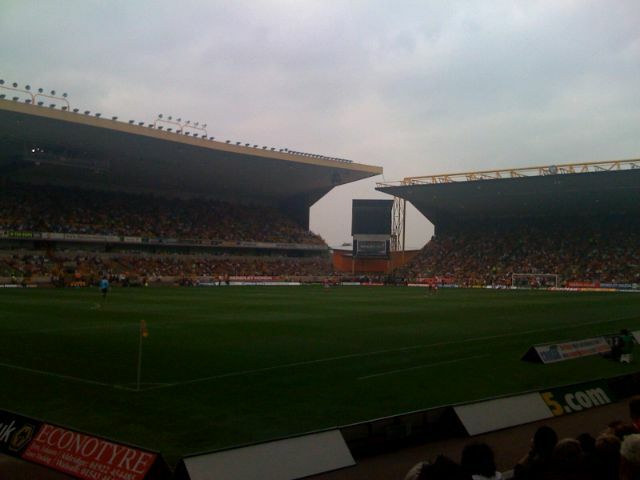 The second half began as we’d ended the first, with Wolves attacking and Iwelumo somehow missing. Forest did come into the game, but you have to ask yourself how hard the home side were trying when they were already four goals to the good. The goal, predictably, was an own goal – because if we were still playing now I don’t think we’d have scored ourselves! A cross from Martin was flapped at by Hennessey and it ended up in the net off a Wolves defender. However, for all that Forest showed they hadn’t learned anything – Kightly was again left free whilst Bennett, Breckin and Morgan rolled out the red carpet for him – as he strolled past the hapless Forest defence before deftly curling the ball beyond Smith from 18 yards. Wilson, McCleary and Cole were introduced for Chambers, Perch and Tyson, but frankly, aside from a few runs from McCleary didn’t make a fat lot of difference. To compound matters, Earnie went off injured leaving us with ten men. Joy. Contrary to what the official site says, there were plenty of Forest fans left in the ground at the end, and they gave the lads a muted but well meant (and ill-deserved!) round of applause. I don’t think it’s panic stations just yet – but lessons need to be learned. I’m not a fan of creating scapegoats – and I don’t blame the player as he’s doing what he’s asked – but it becomes spectacularly apparent that Luke Chambers, nice lad though he is, does not look capable of operating as a right back at this level. We have a break now thanks to Internationals to regroup and welcome Burnley to the City Ground. Hopefully we will see a marked improvement on this showing. An outstanding performance from the home side combined powerfully with a particularly inept showing from us to give a 5-1 scoreline which – in all honesty – flattered us rather than Wolves. I dearly hope it’s just an off day combined with tiredness from Wednesday’s exertions against Sunderland. 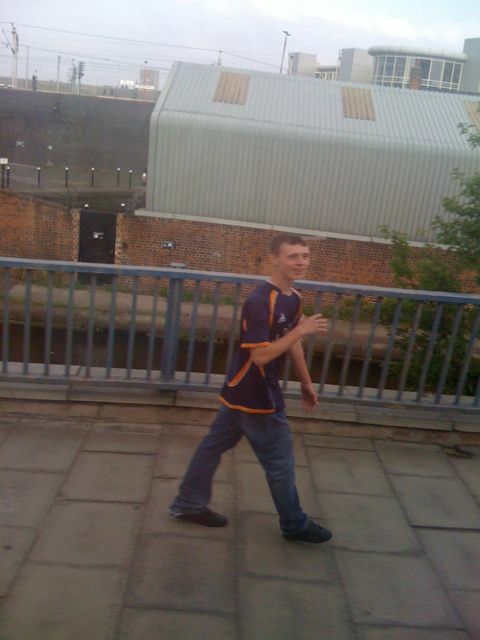 And also that Smould’s decision to sub Chambers means he has spotted that he isn’t a right back. Still, at least we lost to a good team – unlike Derby! More later, if I can be arsed! 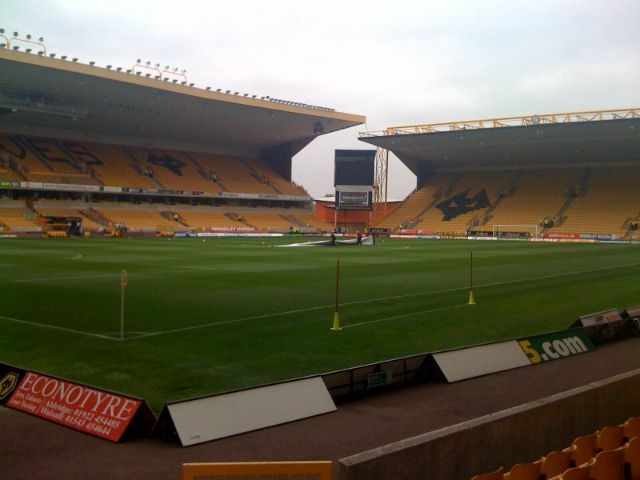 Molineux is one of my favourite grounds to visit. With two “Brian Clough Stand-like” structures on either side of the pitch, although one is arced, and two big single-tier banks at each end, a proper ground. It’s something akin to how the City Ground might have looked had our halcyon days stretched further into the eighties – although, of course, the setting for our ground is so much better! 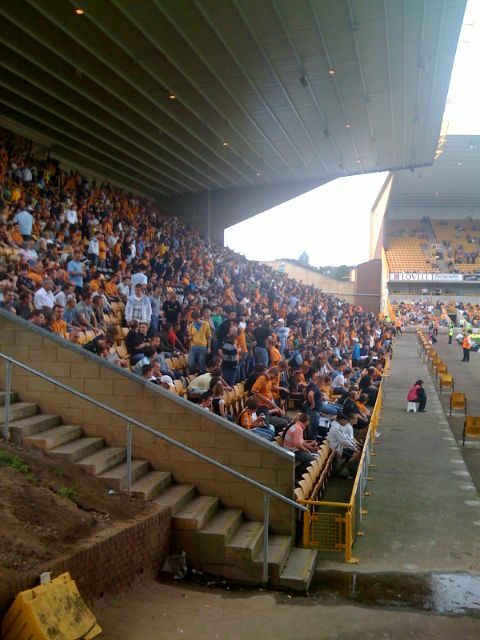 Wolves also smartly site the away fans on the side rather than in an end, on a shallow tier – whilst we shall make a racket, it won’t be as loud as it could be if we had an end! It’s been around 15 years since I’ve been here, then I was celebrating a Collymore goal than ultimately was only sufficient to get us a draw. Wolves are a pretty hot prospect this season, with a lot of wing play I’m concerned about our fullbacks, so we need to live by the old adage of ‘the best form of defence is attack’ and hope Smithy continues his awesome form! But for now, the sprayer is dampening the flanks, and I am being compelled by my companion to head to the concourse for a beer. It’s good to be in a proper ground, given the number of meccano rubbish that litters this league. Bizarrely the PA has just started playing ‘Tie me kangaroo down’ by Rolf Harris.